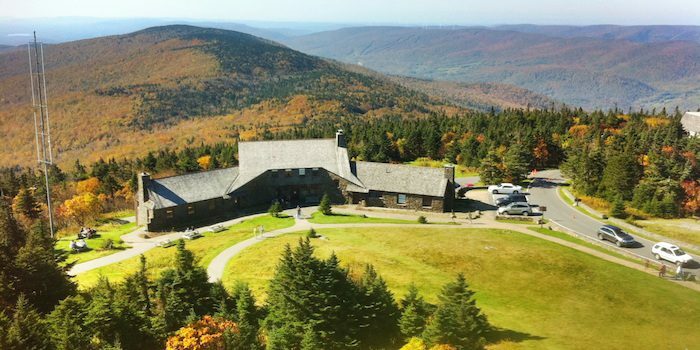 Mount Greylock is the highest point in Massachusetts at 3,491 feet, with views stretching across the Berkshire hills to New York, Connecticut, Vermont, and New Hampshire beyond. The steep trails winding to the summit of Greylock are gorgeous, but somewhat technical, with lots of routes, rocks, and running water to watch out for. For an actual run, choose a section of the Greylock Scenic Byway, which spans about 17 miles between Lanesborough and North Adams. Also known as Rockwell Rd., the byway goes through Greylock State Reservation, and up to the summit. This is steep and challenging. You can look at the elevation profile to choose a gentler section of the road, or have a partner drop you off and run down! There road has a shoulder, but the road can be windy, so keep an eye out for cars. Note: Road closed November-May. If you just want to do the summit section of Mt. Greylock, park at the campground lot, and run on Rockwell Rd. to the summit. It’s 3 miles one-way, elevation gain of 1,058 feet, average grade of 6.5%. Park at any trailhead for a custom length run.